Four months after Hurricane Maria devastated Puerto Rico on Sept. 20, 2017, ME&A Senior Vice President Carlos Beale is back at work in our branch office in San Juan. The following week Beale moved ME&A Puerto Rico operations to South Miami, Fla., along with most of his family members, due to a lack of electricity and basic communications services. Establishing a temporary office in South Miami enabled him to work and travel efficiently to take care of professional commitments in other cities and countries, such as Washington, D.C., and Moldova among others. Many of Beale’s relatives have not been able to work in Puerto Rico due to the fact that many businesses and institutions are closed down. 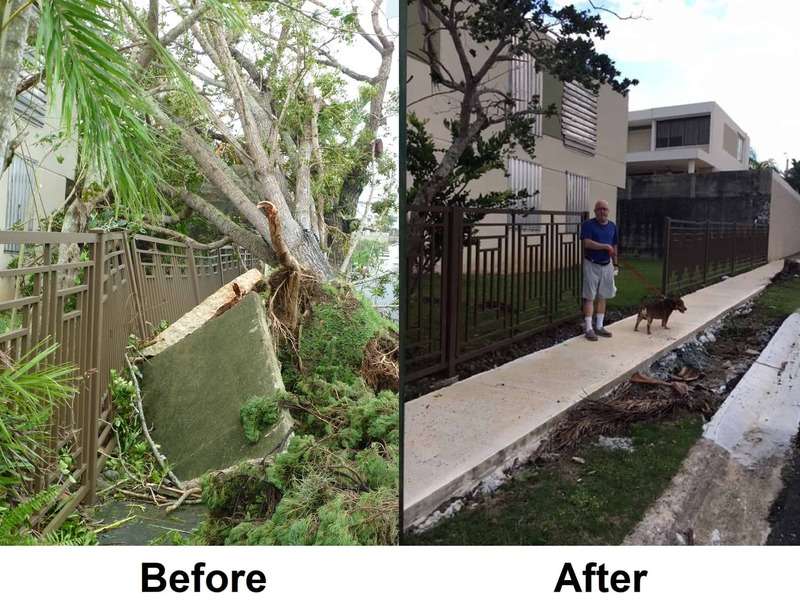 The hurricane’s devastation of the island also make the temporary relocation of ME&A Puerto Rico operations longer than excepted: four months from September 2017 through January 2018. Although ME&A’s branch office is back open, Puerto Rico is not back to normal, and it will be months before electricity can be restored to the entire island without regular blackouts. Hurricane Maria damaged two-thirds of the island’s power distribution, causing the longest blackout in U.S. history. Moreover, Hurricane Maria destroyed or significantly damaged more than a third of about 1.2 million occupied homes on the island. For more than 30 years, ME&A has had a personal and professional relationship with Puerto Rico. Two of our senior executives are from Puerto Rico, and Thomas England, our CEO, represented the city of San Juan in Washington, D.C., for eight years. ME&A has maintained an office in San Juan for more than a decade.